Where to begin? You just took your first pole class for whatever reason and now you've been bitten by the pole bug and want more. So what do you do to get started off in the right direction? First and foremost, one of the most beneficial key elements to your pole journey can be finding the right studio. The right studio can mean something different for each individual. Regardless of your personal preferences for the right studio, it's important you're aware of basic safety measures to ensure you are getting an experience you will be able to trust will benefit your health in the long run. One of the first questions you should ask is, What types of qualifications, training, or certifications do my instructors have? This is something we often don't ask because we assume we're going to a public business therefore they must have all their bases covered. In the pole industry, this is not always true. Anyone can open a studio regardless of experience or level of training. The fitness industry is not regulated, therefore it is the responsibility of the consumer to do your homework and ensure you are protecting yourself by seeking out qualified instructors. Even if an instructor does not have certifications or training, it doesn't mean they are not a good instructor. This is where you will need to be your own advocate and realize that if you choose to take classes with an instructor that lacks specific training, you must know your own limitations and exercise your right to restraint when it comes to practicing within your limitations. Finding a studio that you are comfortable with is not always feasible for many factors such as location or just not suited to your personal needs. Lack of studio access should not deter you from embarking on a pole journey if you so wish to pursue it. There is an enormous amount of literature out there on the internet regarding purchasing a home pole. My personal favorite due to portability and ease of use is the popular Xpole brand poles. 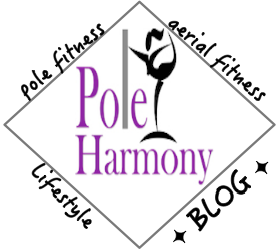 I have used many other brands and I really enjoy them all due to their own unique design, however I have found for a beginner who may be trying out poling as a new fitness regimen and unsure of whether they will actually commit to poling in the long run, purchasing an Xpole is the best option as it will leave no traces of it's existence once removed and it has a positive prospective for resale. When choosing a home pole, it is important to do your research to choose the best pole that will meet your needs. This is basically due to the various different types of pole diameters and finishes. The majority of studios will have 50 mm size diameter poles. I recommend my students to start out on a 50 mm, which they have that exposure from attending the studio so if they have smaller hands and are in the market for a home pole, I will recommend a 45 mm. Poles also come in a variety of finishes which affect the grip of the pole. Poles come in stainless steel, chrome, brass, powder coated, titanium gold, and aluminum. If you are able to get the necessary exposure to test out the different types of poles, I highly recommend doing so before making your purchase. Sometimes this can entail planning a trip to a studio during an already planned family vacation or making a special road trip to the nearest studio that offers pole versatility. If this is an option, the wait to make the decision is well worth it in the long run. Buying a pole is an investment that will pay for itself over time. It's important you choose a pole that is designed for pole fitness and beware of novelty poles that can be dangerous if used to support your body weight. Beginning your pole journey can be an exciting time and in all that excitement you can end up wasting money on the wrong type of pole that is not designed for what you intend to use it for. I can not stress enough the importance of doing your research. After you have purchased your pole, you will be ready to take charge of your independent workouts in the comforts of your own home. This time alone will allow you to explore your limitations and progress with your pole at your own pace. A useful tool to aid in your progression is a video camera. Recording your progress will allow you to visualize your movement and make the necessary adjustments in order to reach your goals in both dance or tricks. It's important to begin all your workouts with a warm up. A warm up is basic repetitive movement that gets your muscles warm in anticipation for the base of your work out. I generally start my warm up by incorporating head to toe movement followed by a sensual dance of basic pole dance transitions around the pole for one to two songs. I refrain from doing any types of spins during the warm up as my muscles are still not quite ready to take on the sudden impact from a spin until after I've implemented my cardio element in the sensual dance aspect. The sensual dance can be fast or slow- I've found either option to be sufficient in providing an adequate warm up. After my warm up I move on to the base of my work out. It depends on what I'd like to accomplish. I find making a list of moves I've seen in videos, DVDs, or from friends to help structure my work out. Sometimes my entire workout will consist of freestyle dancing where I will polish up my go to moves and unleash the movement to the music in no particular planned sequence. This is often an advanced concept for many pole dancers to grasp and it is often difficult for those who have years of experience to fully develop. It's understanding the art of pole and tying the essential elements together for a graceful flow that incorporates an emotional bond and connection to creativity within the dance. The best way this can be practiced is by free styling and letting yourself explore your own movement and develop your individual style on your own. After your work out you want to make sure you include a cool down that consists of stretches and deep breathing that help increase blood flow to tired muscles. The cool down session is very important as it will help ease post work out muscle aches and assist in increasing flexibility. Another key element to the entire work out as a whole is hydration. You want to make sure you are maintaining proper hydration during and especially after a pole work out. Hydration is essential to maintaining balance within your body and it's been known to have tremendous effects on easing post work out muscle soreness. Often times, a beginner can become easily overwhelmed by all the glorified tricks and choreographed movement that is out there on the internet. These videos can be awe inspiring and discouraging at the same time. I often refrain from watching any of these videos unless there is a specific reason for me to need to watch them- generally this is because a student saw the video and saw a specific move they need assistance with to master the mechanics of. I typically fuel my creativity from my DVD collection, watching the select few of my online friends videos, or from a group get together and pole jams. Keeping a realistic mind set when it comes to your limitations is important as it will enable to you achieve your goals without feeling the pressure to be more than you are ready to be thus preventing injuries that could potentially hinder your performance in the long run. Safety should always be first and foremost in every aspect of pole dancing. Remember you are doing this because it is a fun way to work out with various levels of challenges that are unique to each and every individual based on personal limitations, body size, age, or personal preferences. You create your own challenge and by doing so you will pave the way for a healthier lifestyle and new you.